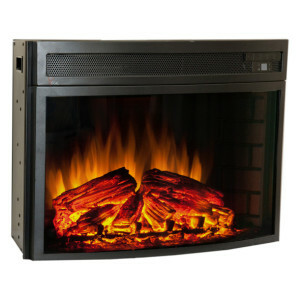 The ClassicFlame 36″ 120V Traditional Builders Box is perfect for installation in any room of your home. Whether you are going through renovations or new construction, you will be able to enjoy the benefits of a fireplace that is quick and easy to install. You may hardwire the firebox to a 120V electrical circuit or use the included plug kit for a convenient installation. Using the ClassicFlame 36″ 120V Traditional Builders Box can provide plenty of additional heat for spaces up to 400 square feet. 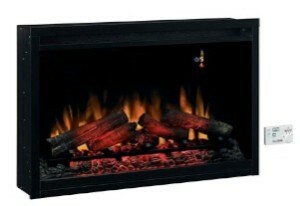 Use the remote control to turn on the fireplace, set the desired temperature and adjust the heating settings. The onscreen display will show the new function settings before fading after four seconds. You can even set the brightness of the fire with five different settings so that you have the perfect flame.